Runescape private server Eden will give you a 2009-2010 feeling of how runescape used to be and we have a lot of extra content added such as demonic gorillas, zulrah boss, construction, $250-500 cash prizes, barbarian assault, active community and more. The server is under ownership of experienced developers who know how to manage a server and make the community grow every day. Register on our forums and be part of our community, u will see how friendly all the members are and the staff is always solving issues for all the players. 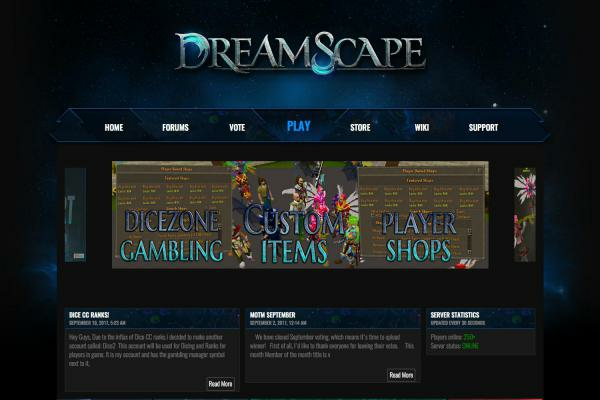 Our dedicated staff is active 24/7, on forums and server. Join the best Runescape private server today.